Is Exchange 2010 Supported on VMware? 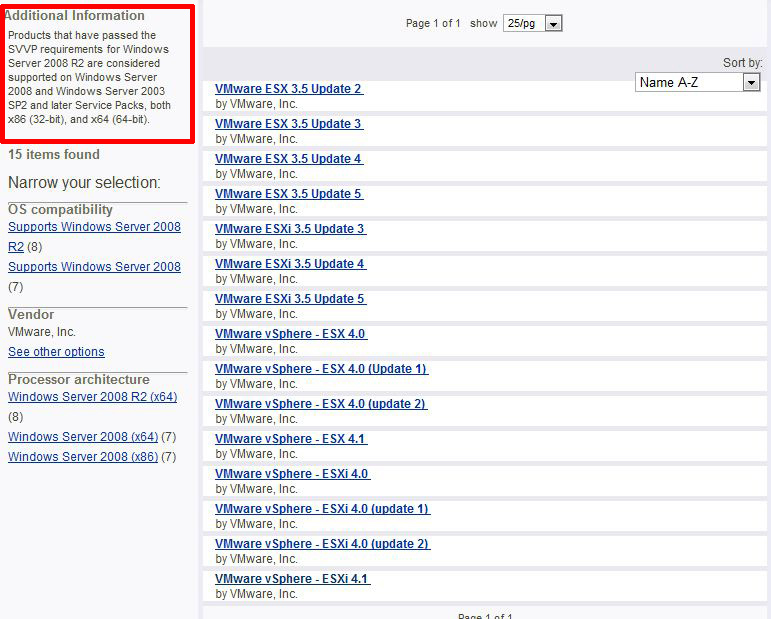 Home » ESX » Is Exchange 2010 Supported on VMware? At time of writing (30/09/10) it seems I cant get a definitive answer! 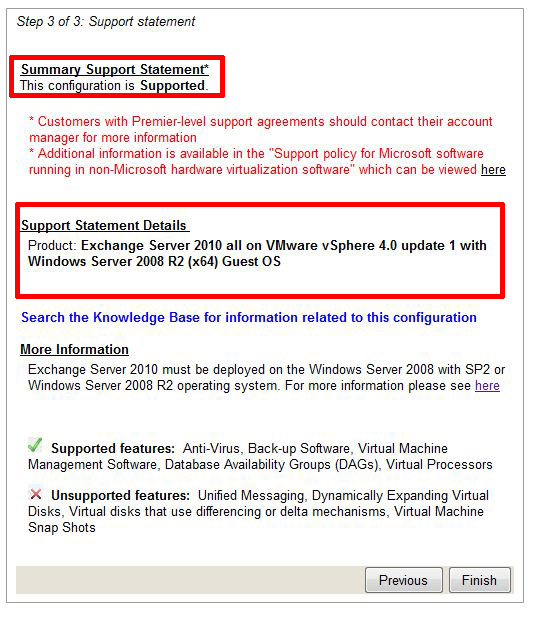 My colleague tried to log a third line support call with Microsoft this week, as soon as they found out that Exchange 2010 was running in a VMware environment, they (literally) hung up on him. Fair enough Exchange 2010 is supported on a “Third party Hypervisor ONLY if its been validated in the “Windows Server Virtualization Validation Program“”. And The platform it was running on IS listed (ESXi 4.0 U1). When presented with this evidence the response was “We will try and fix it on a “Best Endeavour” basis” and the problem (which had nothing to do with VMware, it was actually Microsoft Threat Management Gateway that caused the problem!) was resolved. Sorry Microsoft that is just not good enough! My company pay handsomely for their gold partnership status, and we expect to get third line support on the products we sell. The product is either supported or it is NOT, don’t publish that it is, then use the fact that is running on third party virtualisation to get the problem off your support call queue. Because somewhere there is an Engineer/Consultant who has persuaded THEIR client to part with money to buy YOUR product. I openly invite Microsoft – Third Line Exchange Support, The Exchange Development team and anyone else to respond to me. I will publish any pertinent response.